I know that the idea of eating with your hands might not sound too hygienic to you, but somehow for folk like me, it makes the food taste a whole lot more tasty. After all, there is nothing quite like some finger lickin’ good fried chicken from Colonel Sanders, is there? 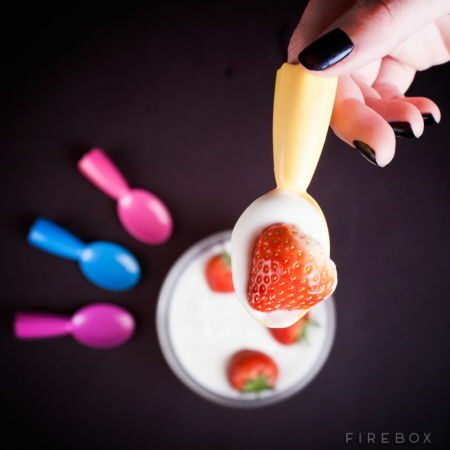 The next time you are going to attend a party which you know for sure will feature some sort of finger food, you might want to go prepared with the £5.99 Finger Spoons in tow. The name of the Finger Spoons says it all – it helps you relive those messy hands-on childhood meal times without getting them dirty or smelly. You might not be born with the proverbial silver spoon in your mouth, but at least having some plastic is better than nothing at all, right?